Player A1 rakes a shot on goal. 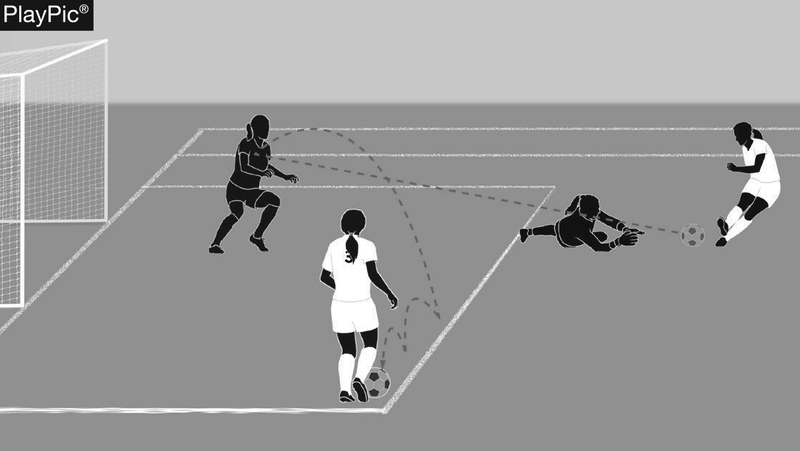 With the goalkeeper out of position, a defender (Player B1) makes a deliberate save and the ball rebounds directly to Player A2 in an offside position. Player A2 received the ball directly from a save, was in active play and gained an advantage by being in that position. Player A1 passes the ball and a defender (B1) heads the ball directly to Player A2, who is in an offside position. 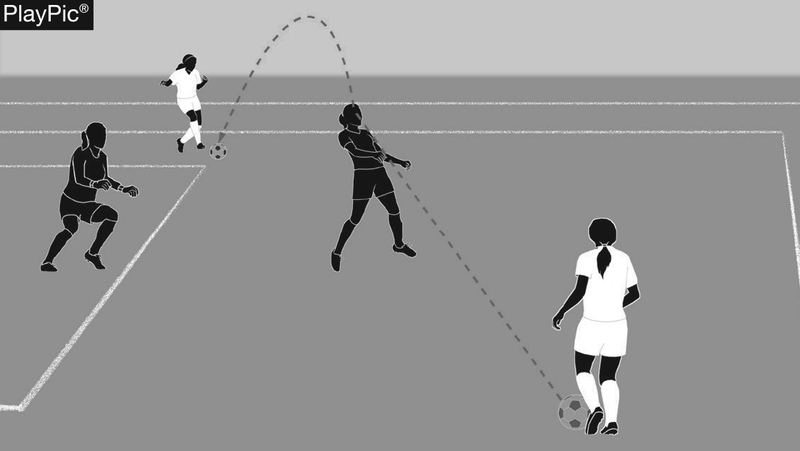 A2 is not offside, however, because he/she received the ball directly from a defender who deliberately played the ball.